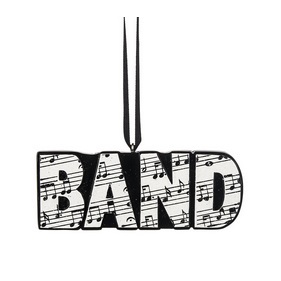 When there�s music in the air, the world is a magical place. 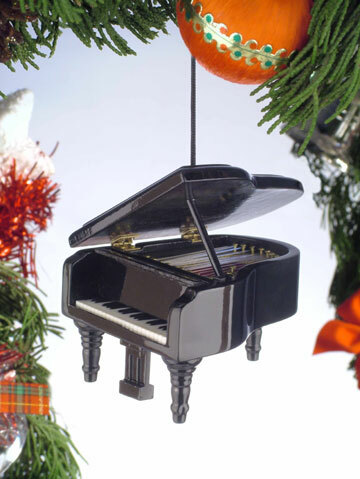 Our impressive selection of musical instrument Christmas tree ornaments will delight any music lover. 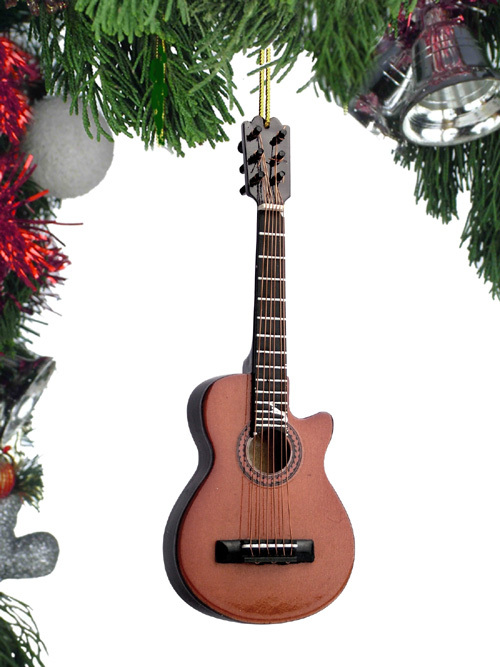 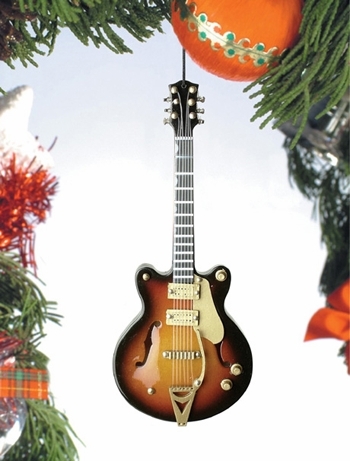 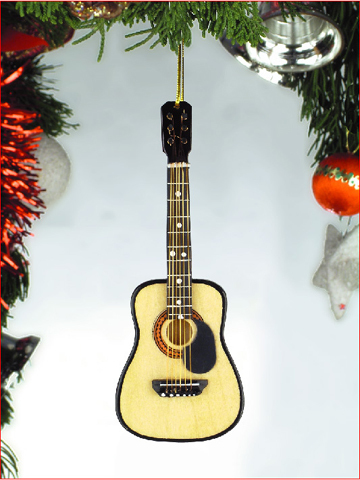 You�ll discover beautifully designed ornaments for just about every musical instrument you can think of. 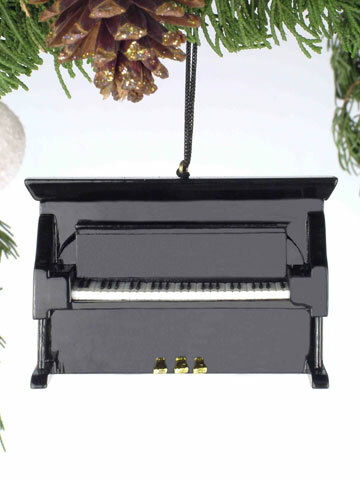 They�re expertly crafted with amazing detail in materials such as wood and resin. 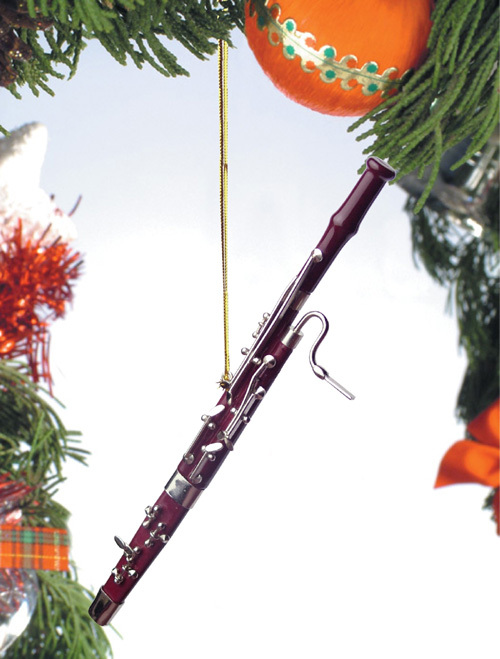 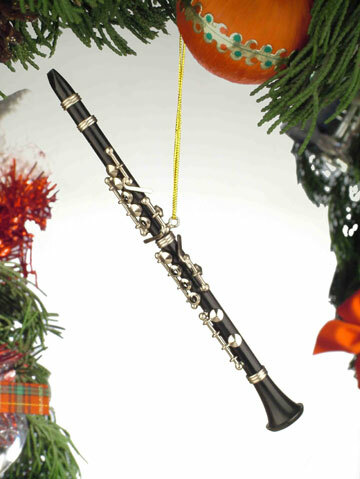 We�re also proud to offer Old World Christmas glass musical instrument ornaments. 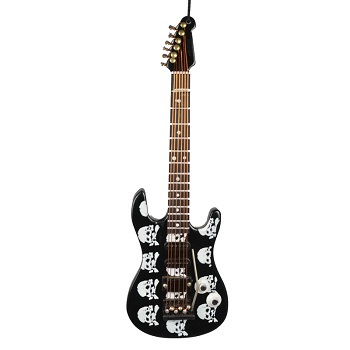 Ornament - "Skull Electric Guitar Ornament"
Ornament - "Electric Guitar Ornament"
Ornament - "Red Bass Guitar Ornament"
Ornament - "Red Snare Drum Ornament"
Ornament - "Drum Tap Set"
Ornament - "Red Marching Drum Ornament"
Ornament - "Black Bass Clarinet Ornament"
Ornament - "Black Clarinet Ornament"
Ornament - "Brown String Guitar with Cut Away"
Ornament - "Classic Guitar with Pick Guard"
Ornament - "Black Electric Guitar Ornament"
Ornament - "High Hat Ornament"
Ornament - "Music Stand Ornament"
Ornament - "Upright Piano Ornament"
Ornament - "Grand Piano Ornament"
Ornament - "Bassoon Ornament "
Christmas Ornament - "Choir Ornament"
Christmas Ornament - "Band Ornament"
Do you have a musician or music lover in your life? 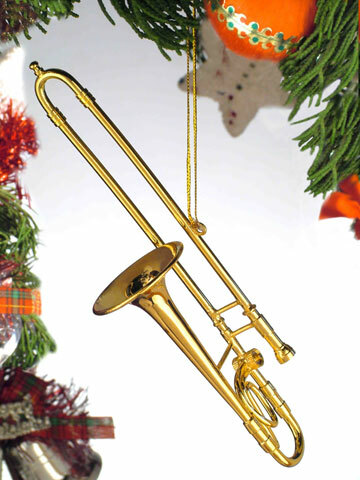 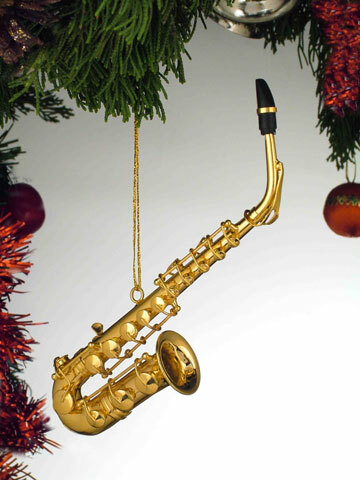 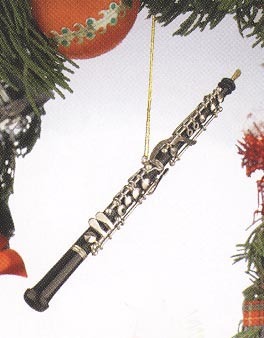 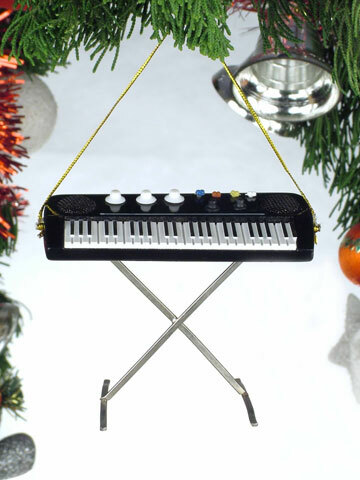 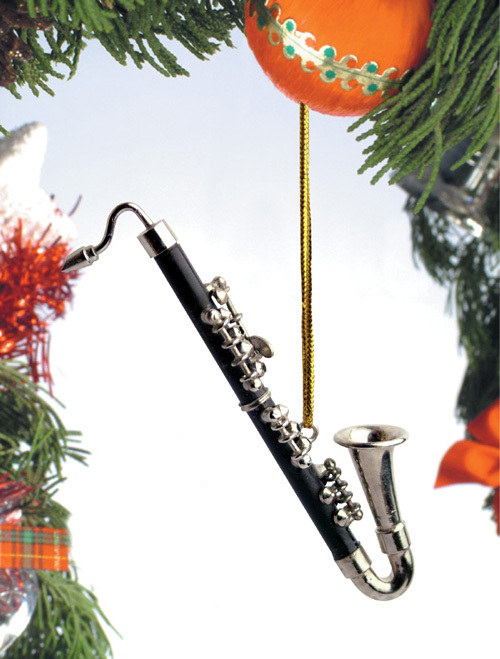 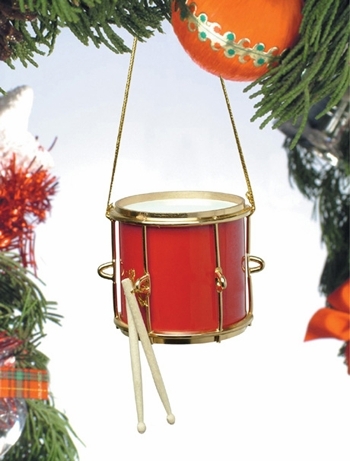 Delight them this holiday season (or really, any season at all) with our highly detailed musical instrument ornaments. 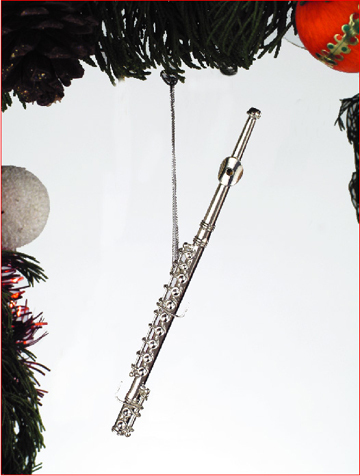 There are many different styles to choose from including stringed, woodwind, brass, percussive and keyboard instruments. 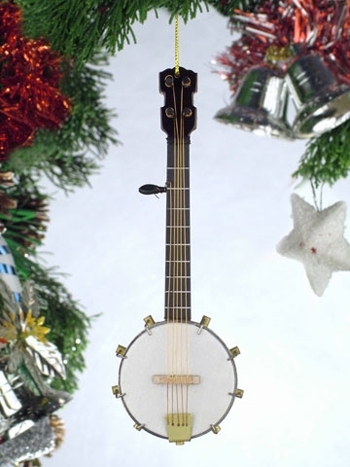 Among our stringed instruments, you�ll discover a colorful array of acoustic and electric guitars, bass guitars, banjos, violins and cellos. 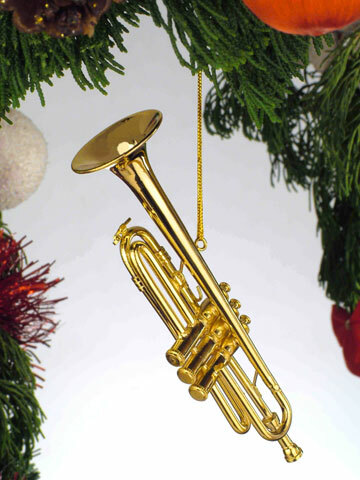 Brass and woodwind instruments include trumpets, clarinets, flutes, oboes, trombones and saxophones. 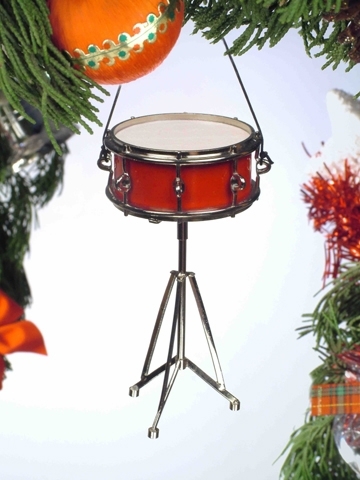 There�s a snare drum, high hat, marching drum and drum set, as well as modern keyboard and upright or grand piano. 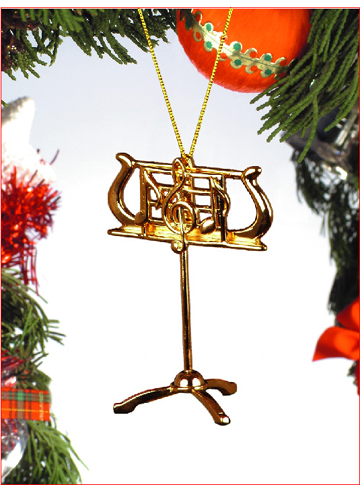 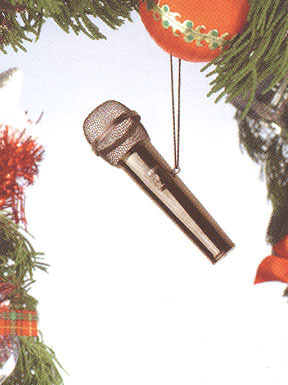 For students in band or choir, we have special resin ornaments covered in musical notation, and singers will enjoy the microphone ornament. 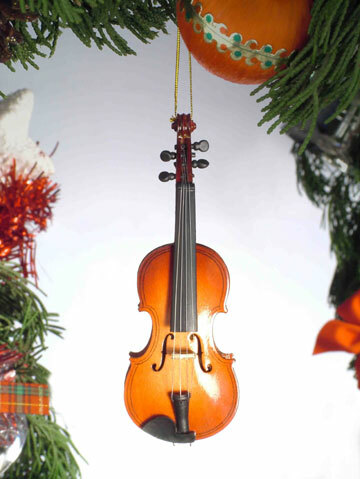 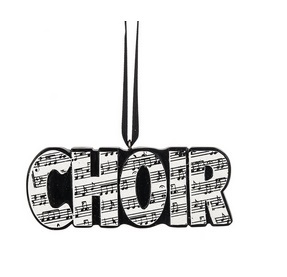 All our musical ornaments would look wonderful on a tree or hanging from a garland or wreath (or even a plant, car or school locker) as a special nod to the musically inclined and those who enjoy listening. 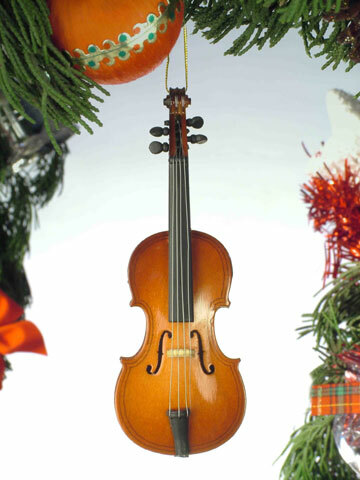 To turn up the volume on the Christmas-y theme, consider this Christopher Radko handcrafted glass ornament, a Rhythmic Christmas Wreath, with drums, a guitar and a violin nested in a lush, green wreath with sheet music for garland. 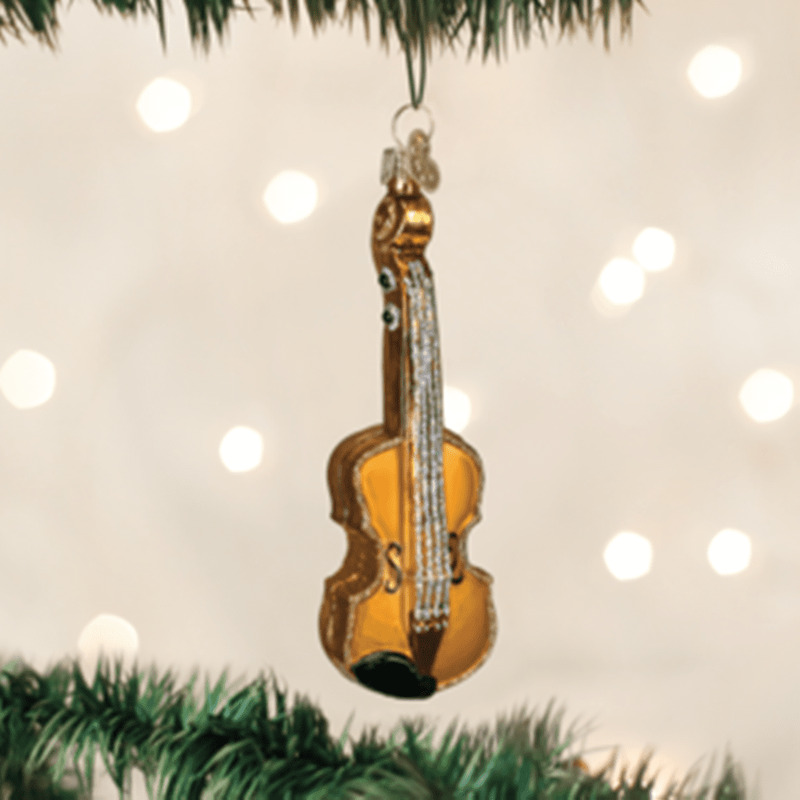 Old World Christmas glass ornaments are made from mouth-blown fine glass using traditional techniques from the 19th century to create stunning family keepsakes. 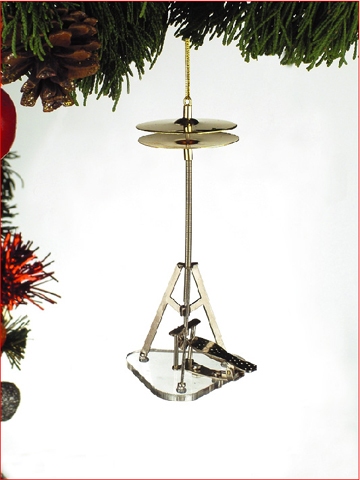 The procedure begins with molten glass that is mouth-blown into exclusively made, intricately carved molds. 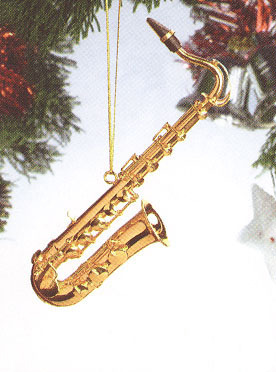 A hot liquid silver is then poured inside. 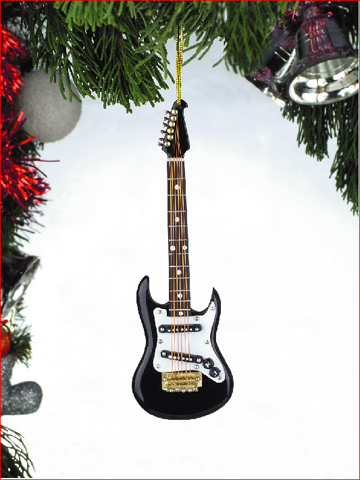 These special ornaments are hand-painted with added glitter by skilled artisans to achieve a stunning work of art. 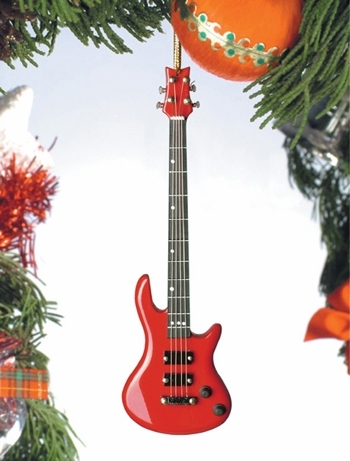 Family owned since 1971, Christmas Tree Hill is committed to providing the highest quality, most unique products for our customers with unsurpassed personalized service. 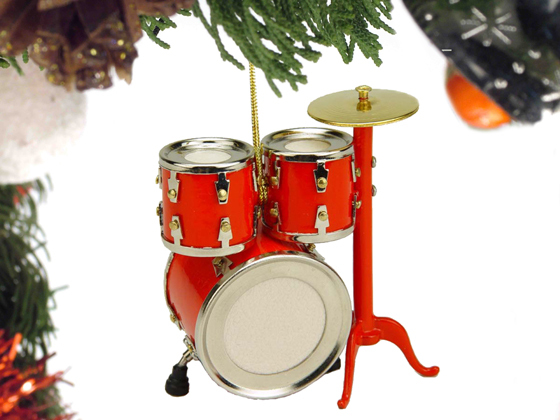 We offer a wide range of home decor, fashion and unique gift items for discerning tastes.